With my first 101st Airborne troops completed in 28mm, I’ve moved on to adding some support weapons. 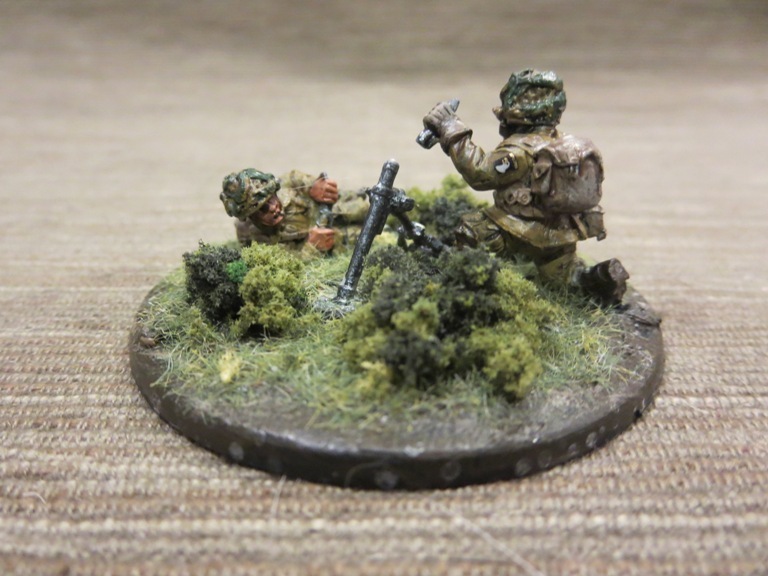 As a relative newcomer to World War II at this scale, I’ve also taken the opportunity to try another manufacturer’s miniatures for the sake of comparison. 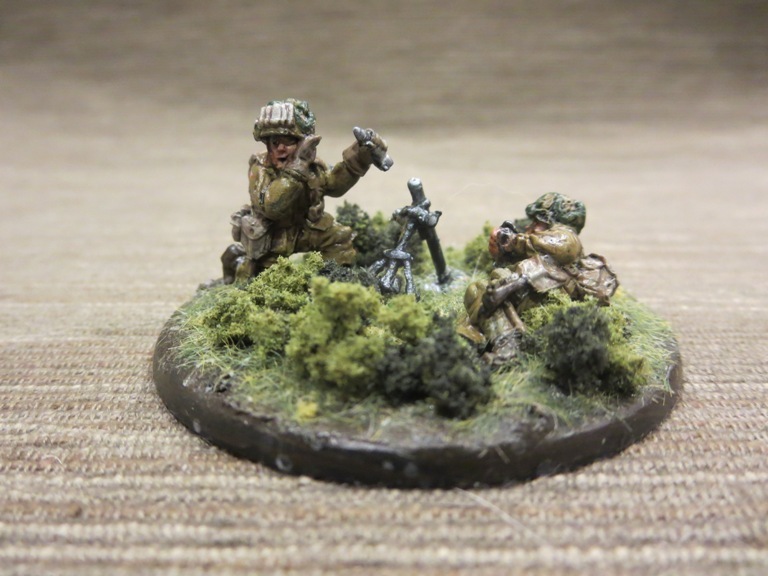 In 2008, Warlord Games launched a small selection of WWII miniatures acquired from another manufacturer. 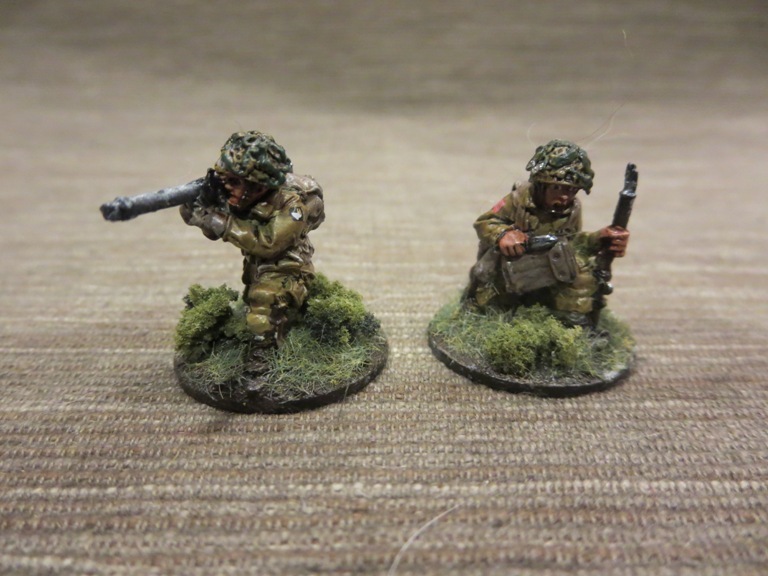 To compliment the line of models, about three years ago Bolt Action came to the game scene with a slickly-designed rule set published by Osprey Publishing and a now vastly-expanding line of miniatures from multiple nations and combat theaters of WWII. 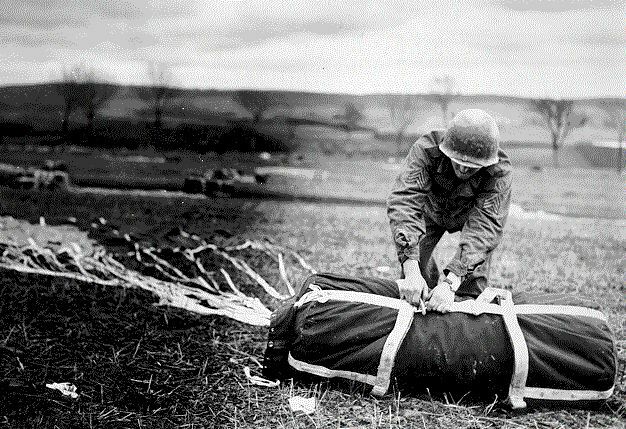 The Warlord Games plastic and metal line of soldiers, artillery, transports and armor, along with the Bolt Action game system, have come to dominate the market and tournament scene for gamers playing tactical-level WWII in the larger 28mm scale. For my first figures from Warlord Games, I stuck with a few metal models which scale nicely with my figures from Artizan Designs. The castings display a lot of exaggerated poses, animated facial expressions and detailed equipment which look great on a wargaming tabletop and reveal the influence of the designers who hail from the world of Warhammer and Warhammer 40,000 from Games Workshop. Base coat models and bases with flat black spray primer. Paint uniforms and bandages on helmets with Tallarn Sand. Paint helmets and knee and elbow patches with Waaagh! Flesh. Paint webbing and packs with Baneblade Brown. Paint bases, boots, gun stocks and helmet straps with Dark Brown. Mix 50/50 Baneblade Brown and Off White and lightly dry brush packs, webbing and socks. Lightly dry brush bases, gun stocks, helmet netting, holsters and elbow and shoulder patches with Baneblade Brown. Paint metal gun, bazooka and mortar parts with black and finish with a light dry brush of metallic silver. Apply Company B decals to shoulders and helmets, followed by a coat of Solvaset decal fixative from Walthers. 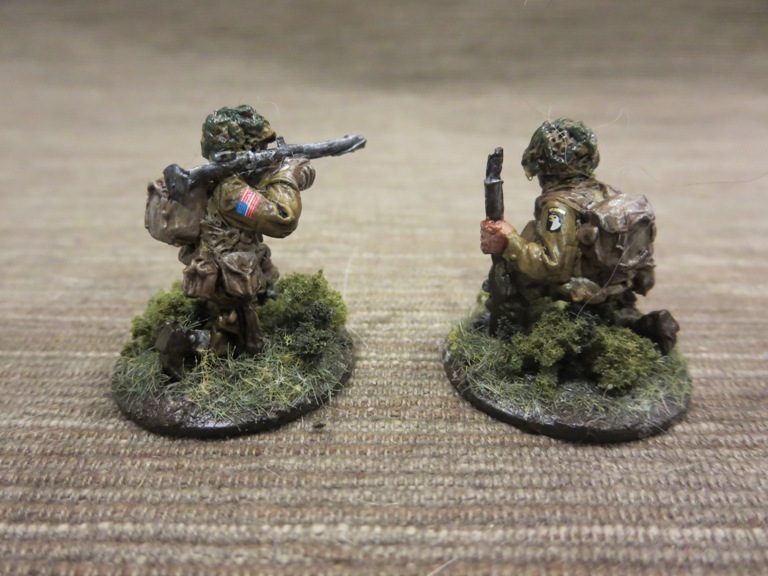 I’ll probably add a light machine gun and some other models from Warlord Games soon, but for now my US Airborne forces will be able to pack a bit more punch in upcoming games.